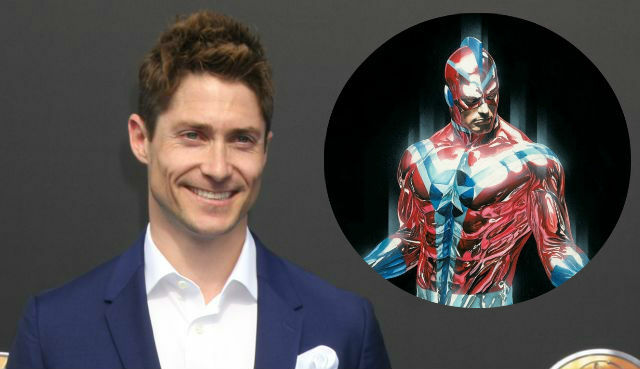 EW reports that DC’s Legends of Tomorrow has brought on Matthew MacCaull (iZombie) in the role of Commander Steel, one of the confirmed members of the Justice Society of America. Created by Gerry Conway and Don Heck in 1978, Henry Heywood had his body reinforced and enhanced with steel devices and served in World War II with his abilities. His character is also the grandfather of Dr. Nate Heywood, who is set to be played by Nick Zano in the series. The other members of the JSA will include the not-yet-cast characters of Stargirl, Obsidian and Dr. Mid-Nite. In the comics, Stargirl is Courtney Whitmore, the youthful hero who gains super powers after she inherits the powerful Cosmic Staff from Starman. Obsidian was introduced as the son of Golden Age Green Lantern Alan Scott who possesses the capability to become a powerful shadow. Dr. Mid-Nite is a crimefighting physician who can only see in complete darkness. Three different people have carried the Dr. Mid-Nite persona over the years, and we’ll have to wait to see which version is brought to DC’s Legends of Tomorrow. It was also announced at San Diego Comic-Con that the “big bad” for the upcoming season will be their own version of the Legion of Doom, featuring Malcolm Merlyn (John Barrowman), Damien Darhk (Neal McDonough), the Reverse-Flash (Matt Letscher) and Captain Cold (Wentworth Miller). DC’s Legends of Tomorrow stars Arthur Darvill as Rip Hunter, Brandon Routh as Ray Palmer/The ATOM, Caity Lotz as Sara Lance/White Canary, Victor Garber and Franz Drameh as Professor Martin Stein & Jefferson “Jax” Jackson/Firestorm, and Dominic Purcell as Mick Rory/Heat Wave. Wentworth Miller, who plays Leonard Snart/Captain Cold, will no longer appear as a series regular on the show but has instead signed a new deal with Warner Bros. TV allowing him to appear across all of their DC series on The CW. DC’s Legends of Tomorrow is executive produced by Greg Berlanti, Marc Guggenheim, Andrew Kreisberg, Phil Klemmer, Chris Fedak and Sarah Schechter. Season two will premiere on October 13 on The CW.